When other products just don't work, you'll be glad you have a bottle of the Ultimate Hard Water Stain Remover in your home, office or car. Simply pour some onto a wet cleaning towel and you will have the cleaning power of the professionals in the palm of your hand. 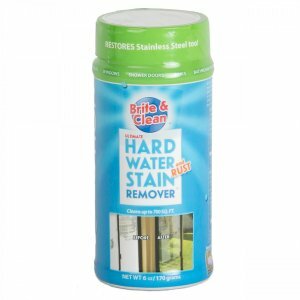 Brite and Clean Ultimate Hard Water Stain Remover is guaranteed to remove even the toughest hard water stains from windows, shower doors, porcelain tile, sinks, toilets, stainless steel, chrome bathroom fixtures, automotive and marine windshields, granite countertops, fiberglass shower stalls and tubs and more. This affordable, cost-effective and long lasting formula that comes in our 6 oz bottle will out-perform and out last any other hard water stain remover, guaranteed. 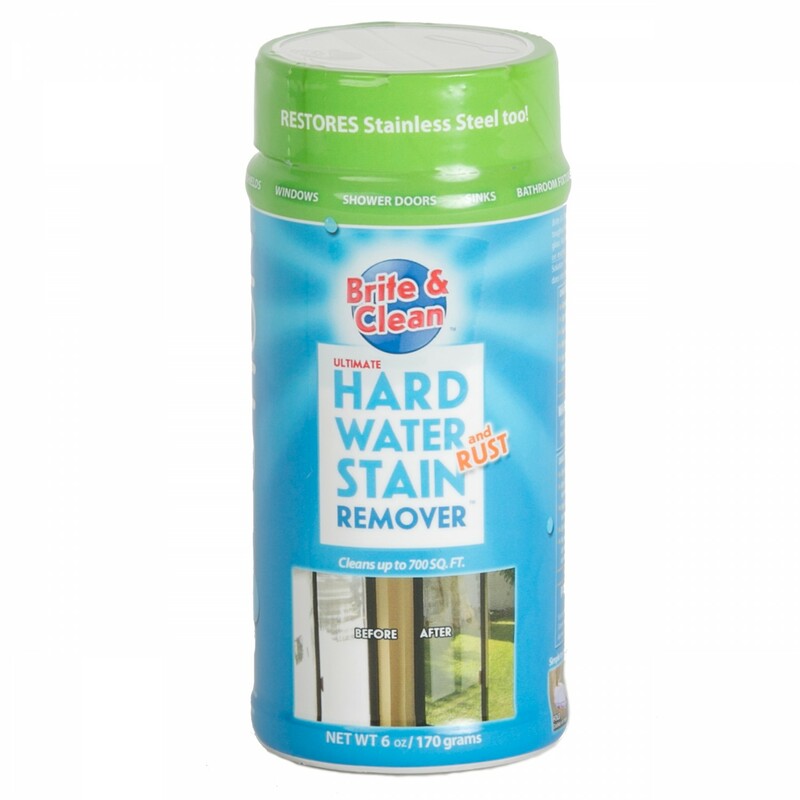 Works better than the leading products because it is not diluted and is a powerful concentrated hard water stain remover for the kitchen and bathroom. Frustration free cleaning. Guaranteed to work or your Money BACK! Love this product. Works just like advertised.